The CalChiefs Legislative Committee reviews all California legislation that is introduced either in the Senate or Assembly. 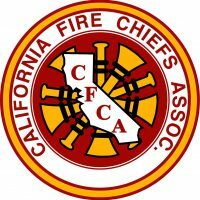 CalChiefs has joined with the Fire Districts Association of California (FDAC) and created a joint legislative task force (TF) to better address statewide legislative needs. Regular full meetings of the TF are held to discuss recommended positions on each bill. Regular full meetings of the committee are held to discuss recommended positions on each bill. Positions taken are “Support”, “Oppose” or “Watch”. Once consensus is reached on each bill, the positions are then presented to their respective eBoard for final approval. As bills are constantly amended and CalChiefs is contacted for support on bills, these specific bills are then sent via email to the committee members for feedback and possible modification of the previously adopted position.